WRIGGLY, JIGGLY, SQUIGGLY FUN ! These are great fun and look fantastic as well as appealling to both visual and tactile senses ! 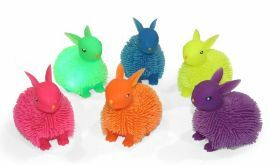 Each rabbit is approx 12cm long and is made from soft tactile flexible rubber and is air filled, allowing it to be squished and squashed easily. 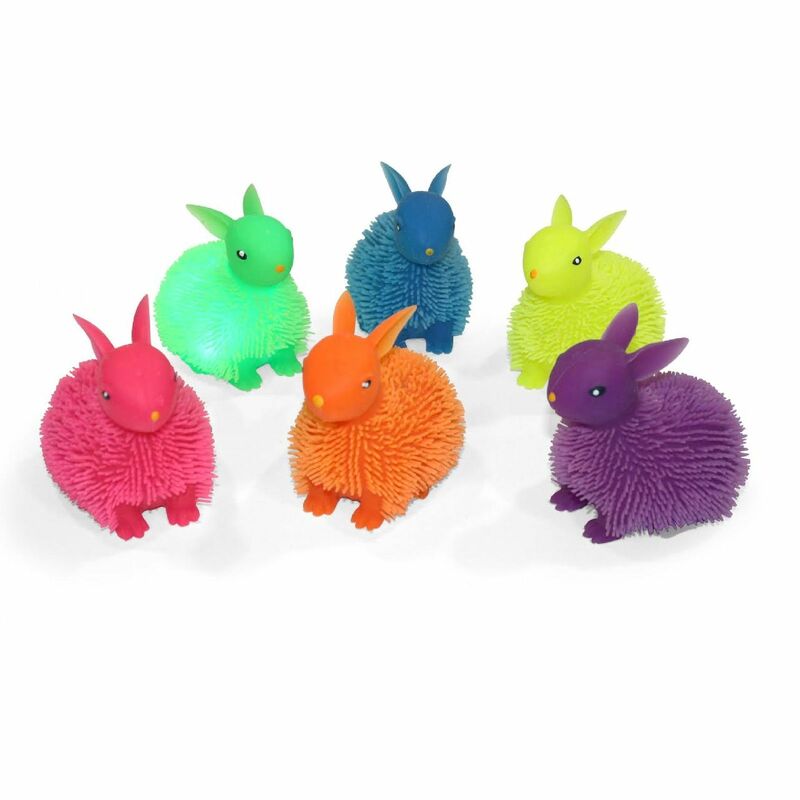 It contains a flashing LED unit inside which is activated when you shake, tap or bounce it. It will flash for 10-15 seconds before automatically switching off, extending battery life (which are non replaceable). You will receive one rabbit. WHITE, BLUE, GREEN, YELLOW, ORANGE, PINK and PURPLE.